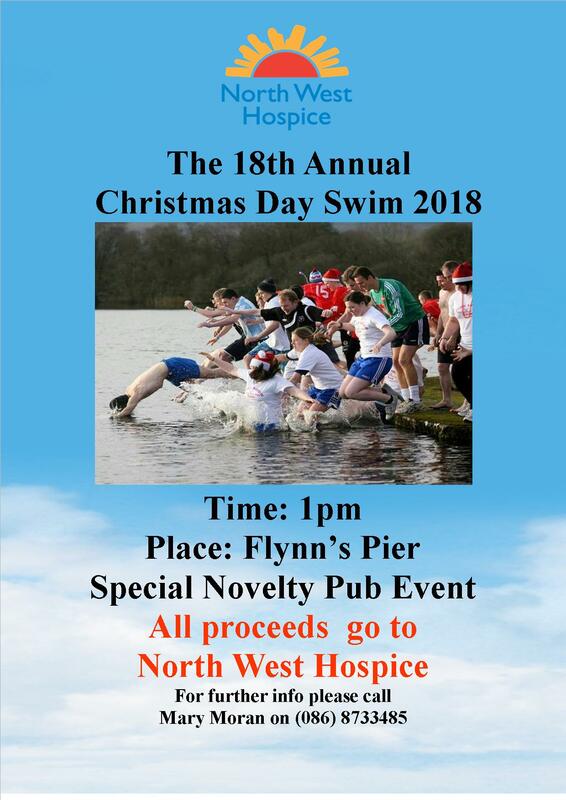 Christmas Day 2018 sees the 18th Lough Arrow Annual Swim in aid of North West Hospice. The swim will start at 1pm at Flynn’s Pier, Lough Arrow and will see participants braving the picturesque Lough Arrow for a Winter dip. There is lots on offer for swimmers and spectators alike with a truly festive atmosphere of family fun on the lakeside including a DJ spinning Christmas tunes, hot whiskeys & mulled wine to warm the cockles as well as soft drinks for children. Events will kick off from 12:30pm Christmas Day with the swimmers going into Lough Arrow at 1pm. The annual swim has raised over €184,000 for the Hospice since it began in 2001. If you would like any more information on the swim please contact Mary Moran on (086) 8733485.